Jordi Murphy has made 10 good tackles so far this game. Aled Davies sets up the try. The defensive line has been broken as Steff Evans goes through the gap. The touch judges raise their flags as Rhys Patchell kicks the conversion. Silky skills by Scarlets ends with a try for Tadhg Beirne. What a run here by Tadhg Beirne as they gets over the gainline!. Steffan Hughes comes on for Scarlets. Scott Williams leaves the field. Isa Nacewa makes the break as the defence re-enacts the parting of the red sea. Scarlets decide to make a substitution, with Will Boyde getting some game time. Scarlets decide to make a substitution, with John Barclay being replaced. Rob Evans has made 10 good tackles so far this game. Scarlets make a substitution with Aled Davies coming on. Scarlets sub Lewis Rawlins comes onto the field. Aaron Shingler departs for Scarlets. 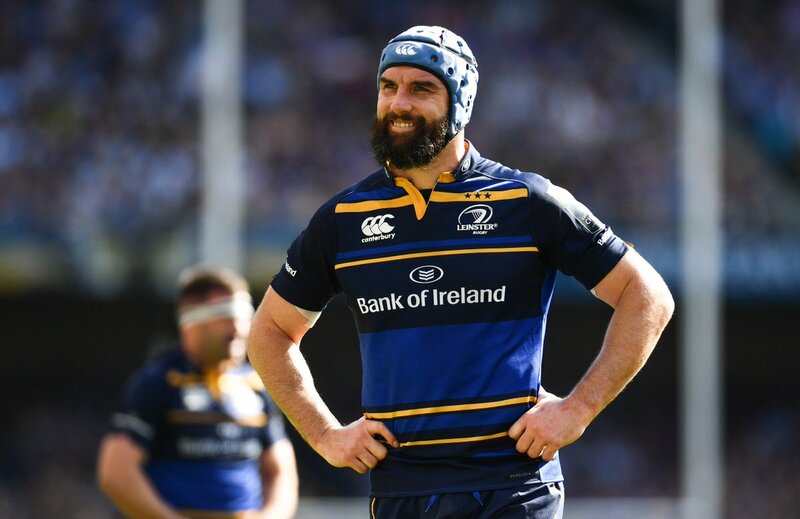 Jack Conan comes on for Leinster. Dan Leavy leaves the field. 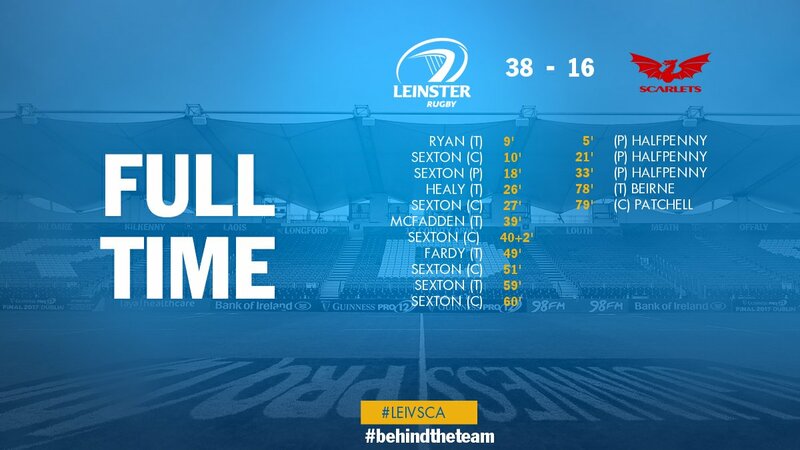 Johnny Sexton adds the two points for Leinster. Spellbinding play by Jamison Gibson-Park is finished off with a try. 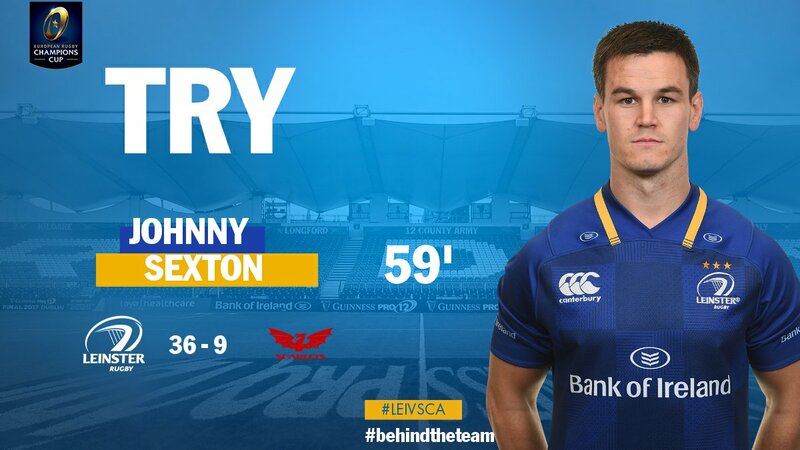 A wonderful passing move by Leinster is finished off by Johnny Sexton. 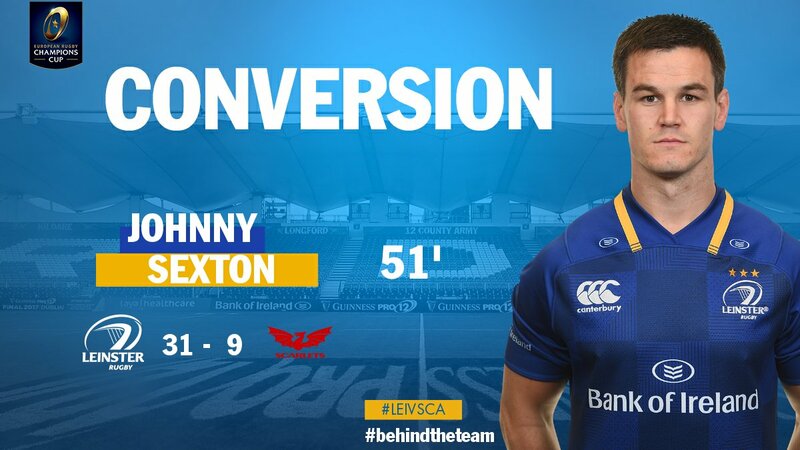 Fabulous play by Leinster has led to Johnny Sexton being able to wriggle through a gap. James Davies has made 10 good tackles so far this game. Scarlets decide to make a substitution, with Steven Cummins getting some game time. Scarlets decide to make a substitution, with David Bulbring being replaced. 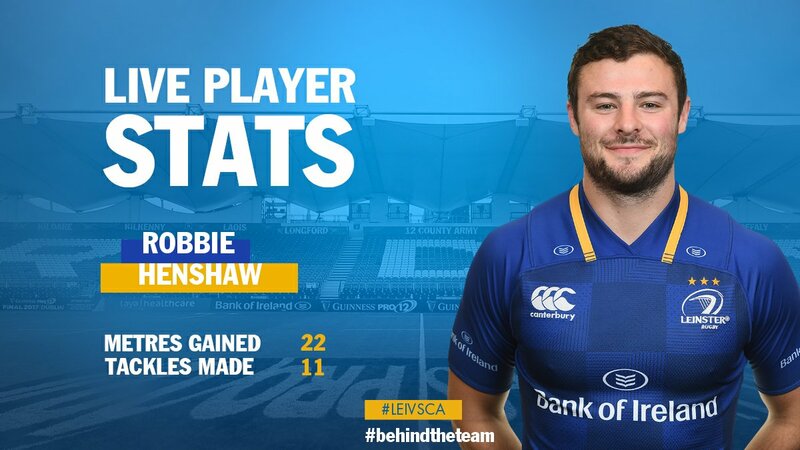 Leinster make a substitution with Jack McGrath coming on. 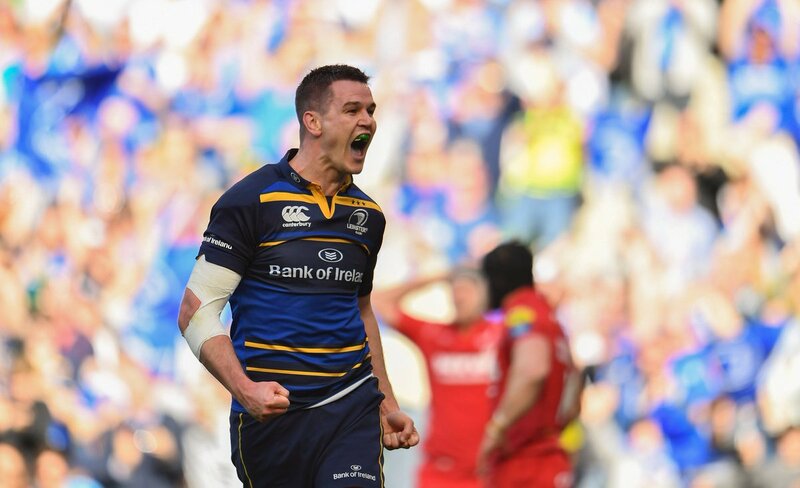 Leinster make a substitution with Cian Healy coming off. Johnny Sexton does the business as his conversion attempt goes over. Scarlets sub Werner Kruger comes onto the field. Samson Lee departs for Scarlets. James Ryan played a key part in that try. 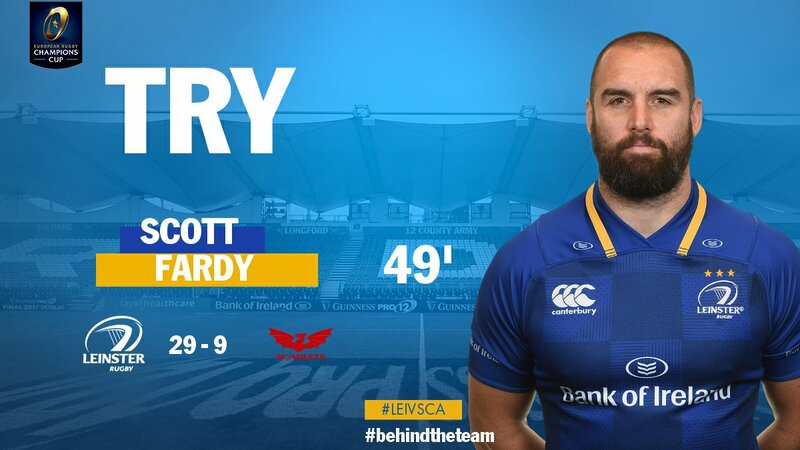 A series of passes by Leinster results in a try for Scott Fardy. John Barclay has made 10 good tackles so far this game. Trouble here as Sean Cronin breaches the defence. Rob Kearney has an attempt on goal with a drop kick, but it falls well short. That's a great try assist by Garry Ringrose. This is dangerous for the defence as Fergus McFadden bursts through to advance the Leinster attack. 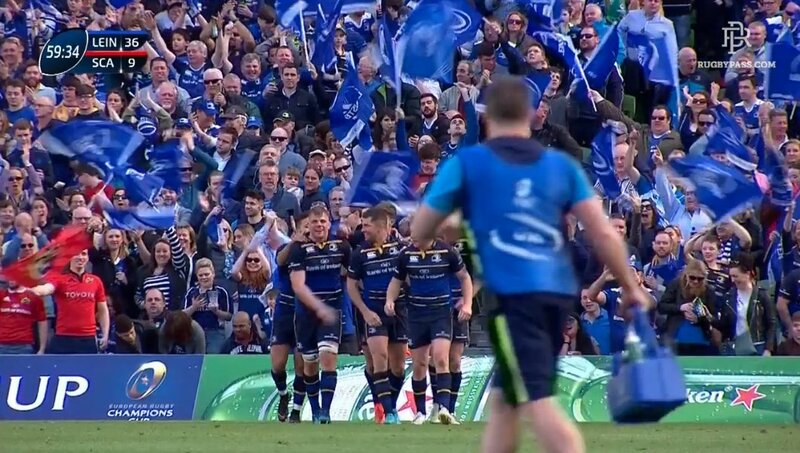 Great hands by Leinster leads to a try for Fergus McFadden. Try saving tackle made by James Davies. 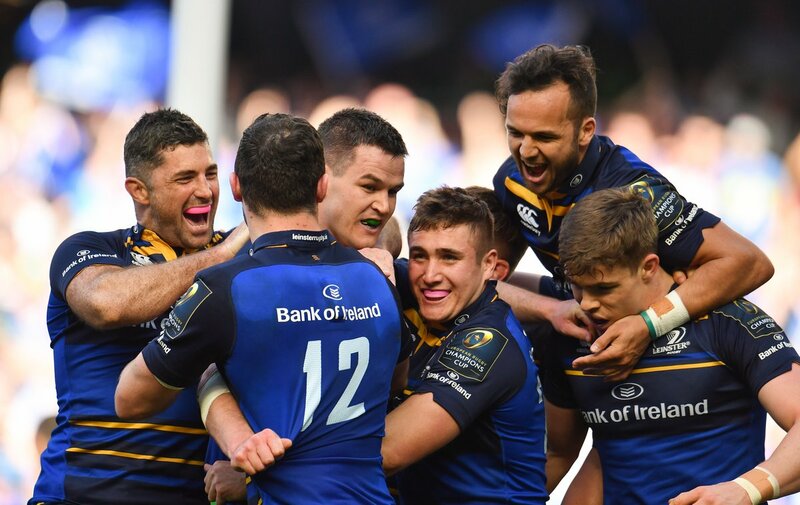 Cian Healy scores the try from close range. What a tackle there by Scott Williams as he saves a certain try!. The defensive line has been broken as Fergus McFadden goes through the gap. Jamison Gibson-Park sets up the try. Leinster are only a few metres out, surely they must score! And they do with James Ryan touching down. Leigh Halfpenny has kicked a penalty goal. 19 points down. 7 minutes to go. 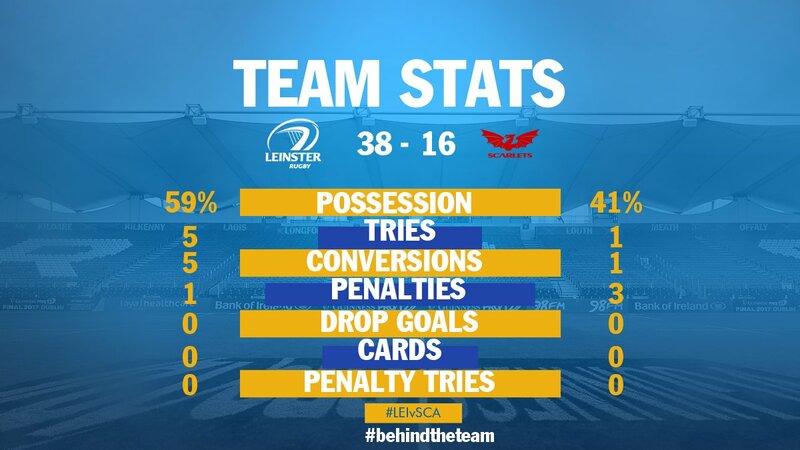 Surely game over in the #BICup semi-final? Not quite. "We're delighted to get the win. 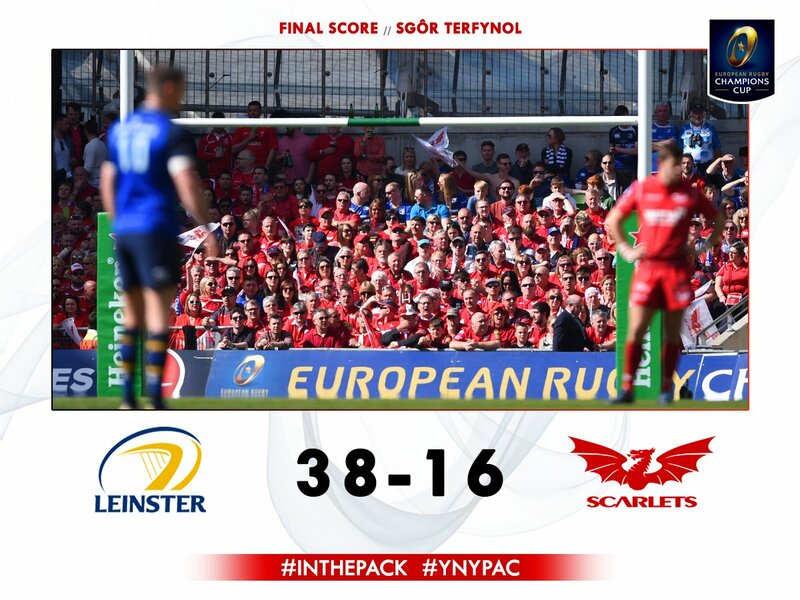 We have a lot of respect for Scarlets." 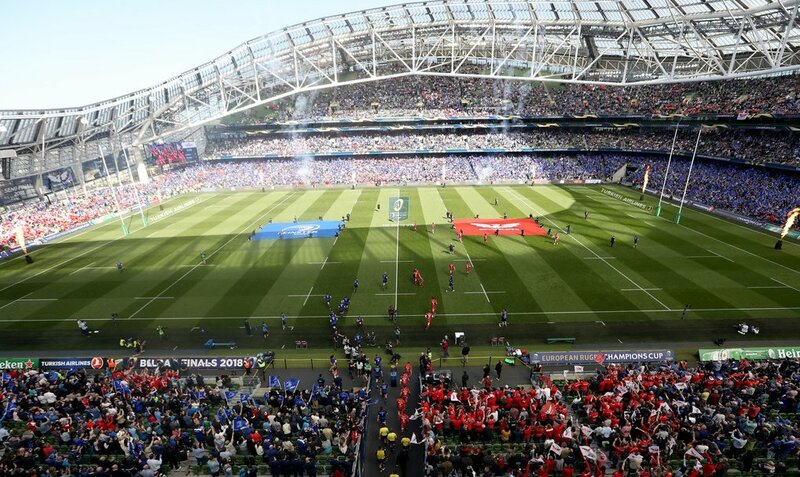 RT @ChampionsCup: 📸 Today's attendance at the @AVIVAStadium is 48,445. 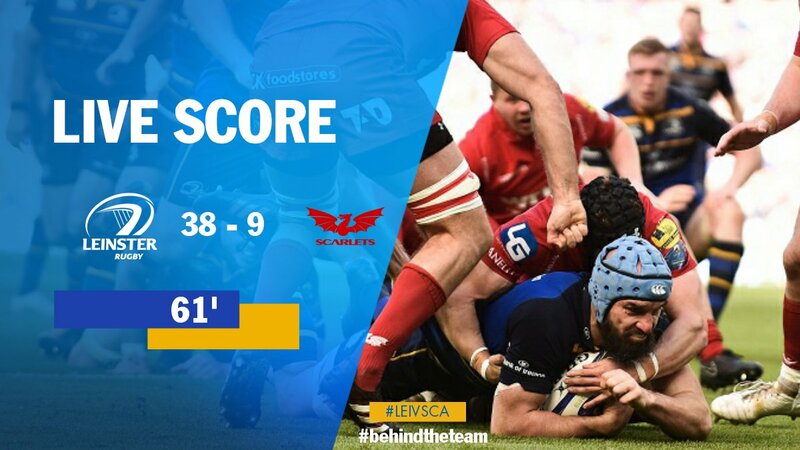 64' Scarlets line out in Leinster's 22. Scarlets weather the storm on their own line. Ball is kicked to touch and we've back downfield.